As you can see from the map. The Eastfield and Filey police stations cover a very large area. To assist in the prevention and detection of crime we have five dedicated Beat Managers who are assisted by ten PCSOS. Each of these Beat Managers has individual responsibility for a specific area. There are also seventeen patrol officers dedicated to the area who provide 24/7 cover. There are also resources such as Road Policing who routinely patrol our communities. 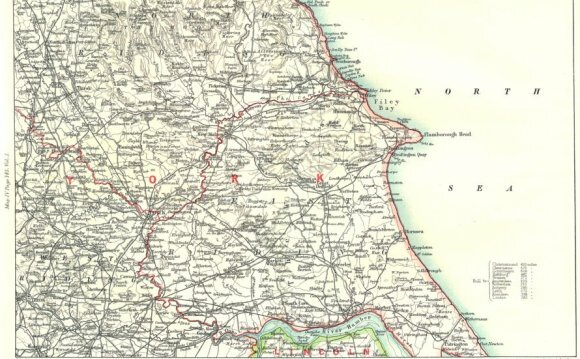 From East Ayton along the A170 to Snainton and from Burniston along the A171 to Ravenscar and the area between. Eastfield East of the dell, Cayton and Osgodb. Eastfield West of the dell, The industrial estate, Crossgates and Seamer. Including Hunmanby and the four major holiday parks. Over the next few years there are a number of large developments planned across our communities which will see a large increase in our population. As with any large increase there is the potential for an increase in crime rates. We are already planning for this and have recently been proactively targeting those people who cause the most harm in your community. To do this we rely on information being passed by members of the community about who is committing crime and Anti-Social Behaviour in your area. You can do this by contacting your local Beat Manager, call us on 101, or call Crime Stoppers on 0800 555 111 or online at . In 2012/2013 the Filey, Eastfield and Scarborough Rural Safer Neighbourhood Area continued to target those who cause the most harm to our communities. So far in 2013 / 2014 crime reduction stands at 10% compared with the same day last year and whilst we still have a long way to go this remains our key aim. Summer is the busiest time for our area, with the summer holidays bringing thousands of extra people to the area's Holiday Parks. We work closely with the park managers and security to ensure that the parks are kept safe and the rest of our community is still patrolled. We accomplish this by bringing officers from other areas, who do not see the same summer increase, to supplement our staff numbers.